The cutthroat competition between U.S. cellular carriers is as intense as ever. And Verizon, the country’s largest wireless provider, has been taking a beating in its smaller rivals’ TV commercials for not offering customers unlimited data. During the Super Bowl, a kinda dark Sprint commercial portrayed a father actually faking his own death to get out of a Verizon contract. Just like that, Verizon is now offering an unlimited data plan. Verizon customers can keep their current plans or switch to the unlimited data plan. 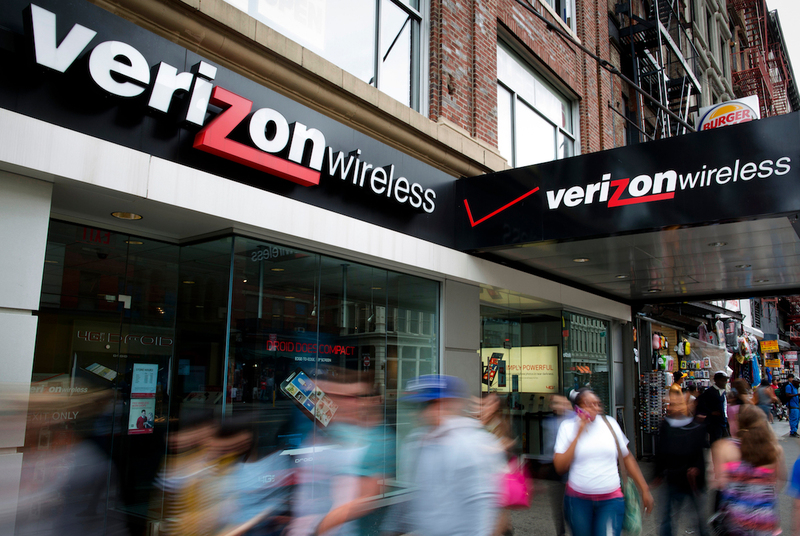 Verizon will continue offering its traditional data plans, which start at 2 GB. The WSJ and Bloomberg News say Sprint and T-Mobile have been cutting into Verizon’s customer base since they started heavily advertising their own unlimited data plans last fall. If you’re already on Verizon, should you switch to the unlimited data plan? If you stream a lot of data-hogging video on your phone, you should strongly consider it. Although the price is a bit higher, unlimited data means you can no longer be charged those annoying fees for using too much data. “Overage fees, which can cost $10 to $15 per gigabyte per month, have been a sore spot with customers, especially those in family plans that offer a pool of shared data,” the Sun Sentinel newspaper reports. You only get the $80 per month price if you sign up for autopay, Lifehacker notes. If you don’t, it costs $85 a month. If you’re on a rival network, should you switch plans? Ooooohhh, big decision. Let’s discuss. We’ll start with a basic monthly price comparison of the four major wireless carriers’ unlimited data plans. With one smartphone: Sprint, $60; T-Mobile, $70; Verizon, $80; AT&T, $100. With four smartphones: Sprint and T-Mobile, $160; Verizon and AT&T, $180. So, Sprint and T-Mobile are cheaper. We should mention that the tech product review website Tom’s Guide cautions that the meaning of “HD” is murky and likely means 720p video in this case, rather than a full 1080p. Either way, it’s higher-quality video. To switch, or not to switch? It depends on whether you watch a lot of video on your phone, and whether you want it to be high-def. Verizon’s other calling card is its high quality. “The company is the industry’s top performer in overall quality, network reliability and speed, data and calling,” Bloomberg News reports. One final thing: As part of its new promotion, Verizon is offering a free phone to new customers if they trade in a qualifying phone. Verizon is offering the newest phones from Apple, Samsung, Google, Moto and LG. Eligible trade-in phones include: iPhone 6, iPhone 6 Plus, iPhone 6S, iPhone 6S Plus, iPhone 7, iPhone 7 Plus, Samsung Galaxy S6, Samsung Galaxy S6 edge+, Samsung Galaxy S7, Samsung Galaxy S7 edge, Samsung Note 5, LG G5, LG V20 and HTC 10. Your Turn: How much data do you use? Mike Brassfield ([email protected]) is a senior writer at The Penny Hoarder. He tries not to need unlimited data.